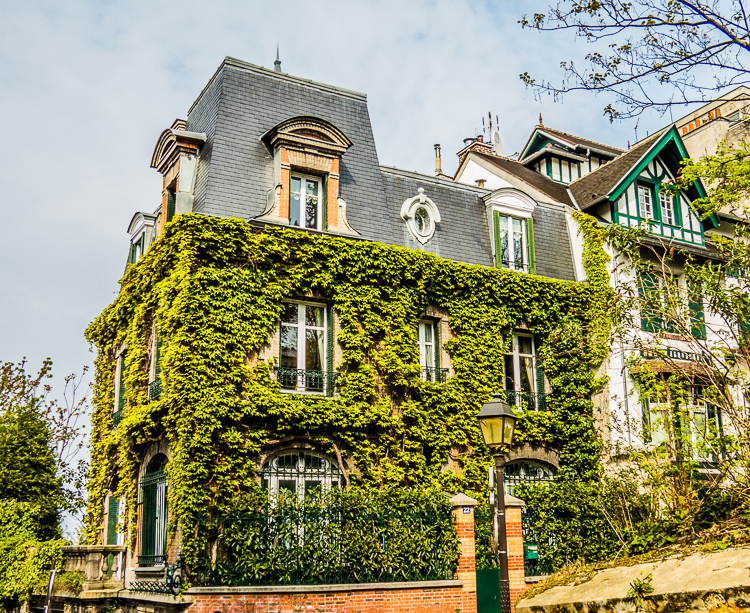 After leaving Saint-Vincent Cemetery we headed south up the north side of Montmartre! 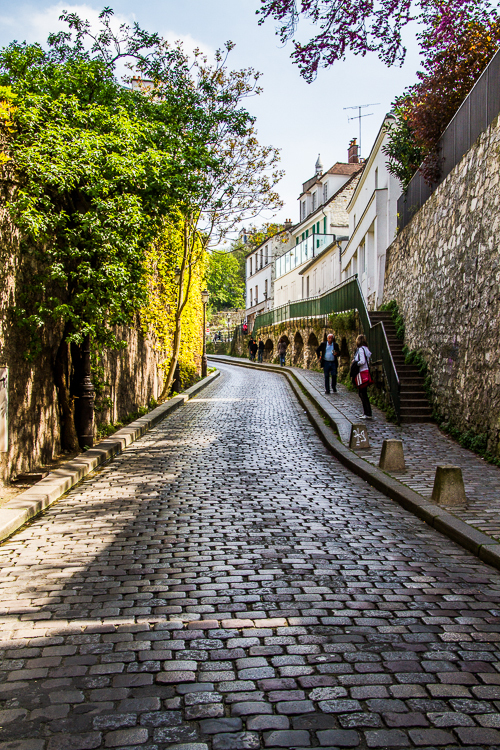 And I mean up, as it is all uphill until you reach the top of Montmartre. 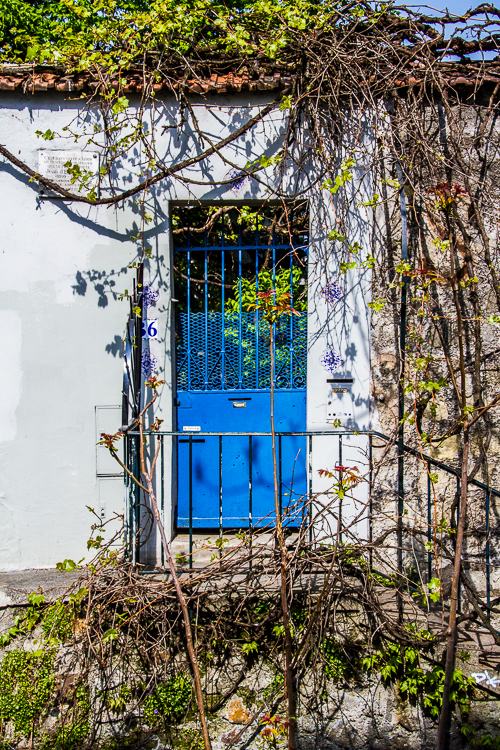 Beautiful little cobblestone streets that are very narrow and have been here for years. 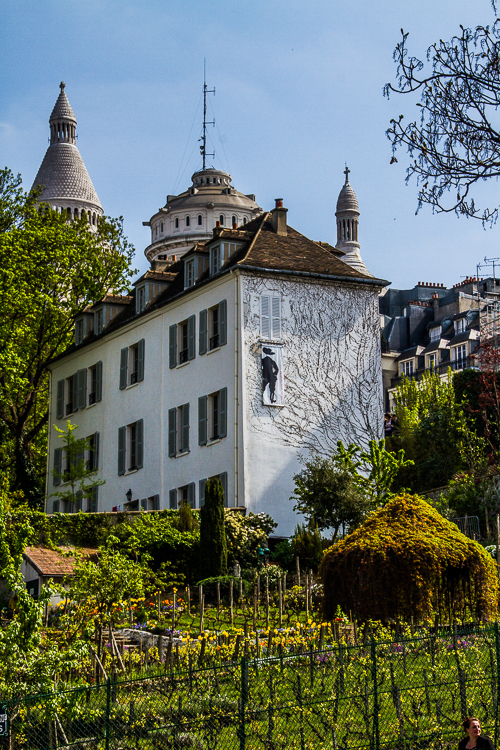 As we ascend the hill we reach the Montmartre Vineyards and across the street is the Agile Rabbit Cabaret. 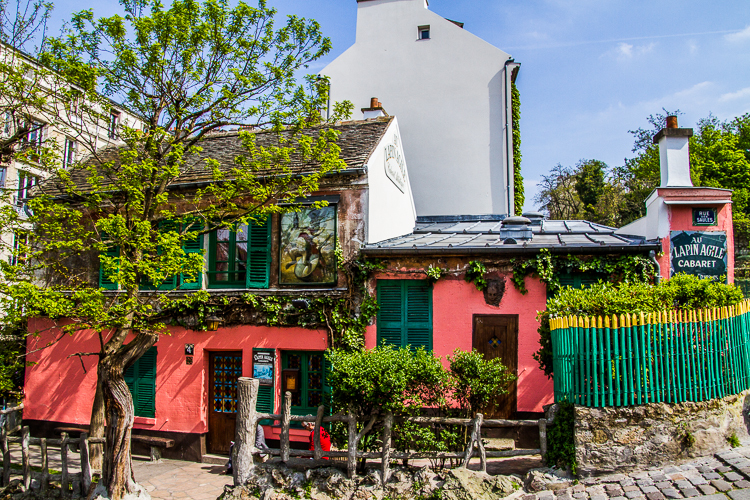 Au Lapin Agile was a favorite of Picasso and artists, writers and musicians who came together here, to entertain, be entertained and to drink together. 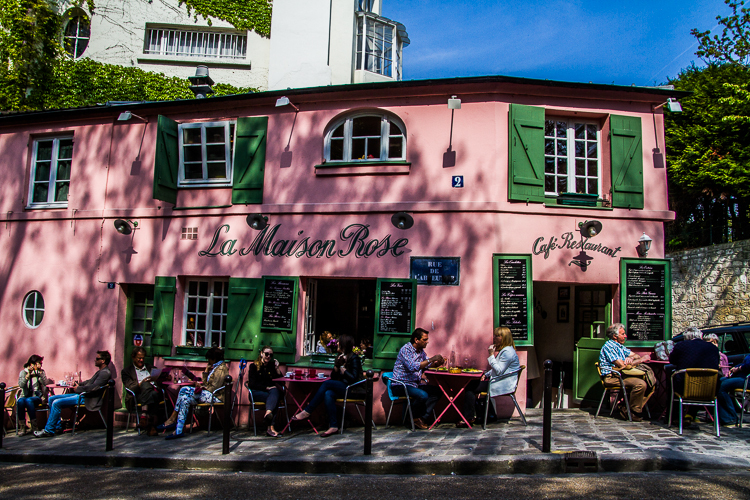 It was originally called Cabaret des Assassins, relating to a murder which took place on the premises. There was a play by Steve Martin having Albert Einstein and Pablo Picasso meet at the bar, both men are on the verge of world-changing breakthroughs. Hilarity ensues. The place is still open with mainly tourist joining in now! From here we moved up the hill more and had lunch at La Maison Rose. 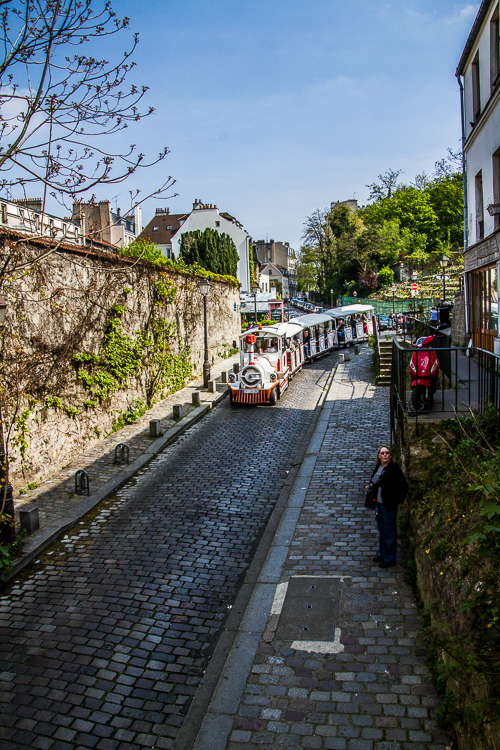 Those that do not want to walk Montmartre may catch a little pull a long train at the other side of Montmartre and see the butte in a very bumpy little train car! This is why you walk, can’t see or stop and take a picture of this on the train! Montmartre Vineyards, they only make a 1000 bottles a year at 60€ each the money goes to Montmartre charities! Another beauty you would miss on the train. 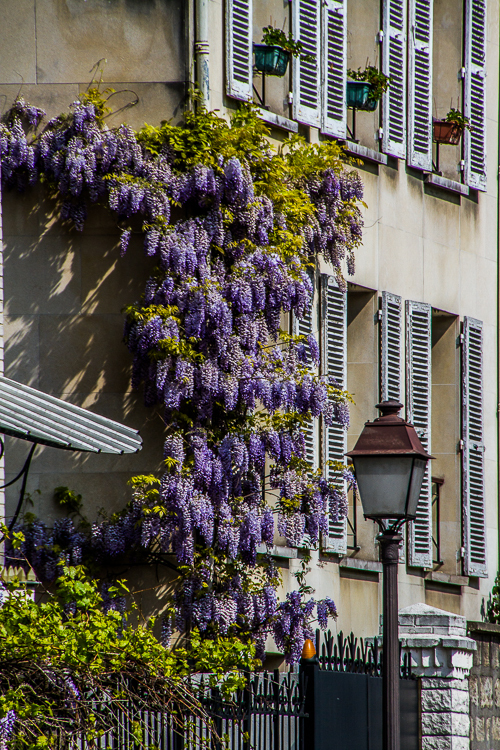 Did I mention it was Spring in Paris! 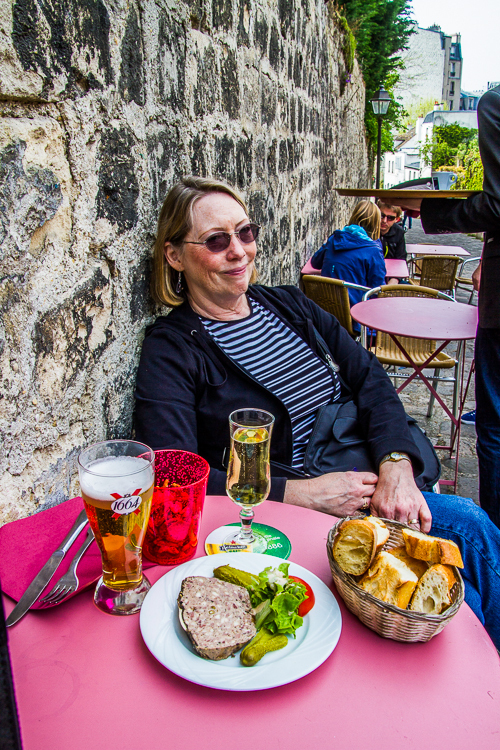 Lois has a big smile, might have something to do with that glass of champagne and that plate of pate! The beautiful house Lois is starring at across the street! Love all your pics. Yes, walking is always best. Look up, look around the corner, look back! And stop often! Love that picture of Lois….tired, but happy!